We are fortunate to have a dedicated surgical theatre and full surgical instrumentation to be able to perform almost all surgeries. We also have three fully equipped anaesthetic stations, using isofluorane. The anaesthetic agents used in veterinary medicine are far more advanced and safer than those used 20 years ago, and isofluorane is the safest anaesthetic gas available. Our level of monitoring equipment provides a vital tool in the care of your pets during surgical procedures. All the equipment you would expect to see in a human surgery theatre is now in use in our hospital. All anaesthetised patients are closely monitored by our nurses. In addition, an apalert and pulse oximeter are used to measure their respiratory rate, heart rate and blood oxygen saturation. Prior to any surgery, we recommend pre-anaesthetic blood profiling. This enables us to detect and monitor kidney and liver function. The majority of the surgery we perform is soft tissue surgery, which includes desexings, lump removals and laceration repairs. 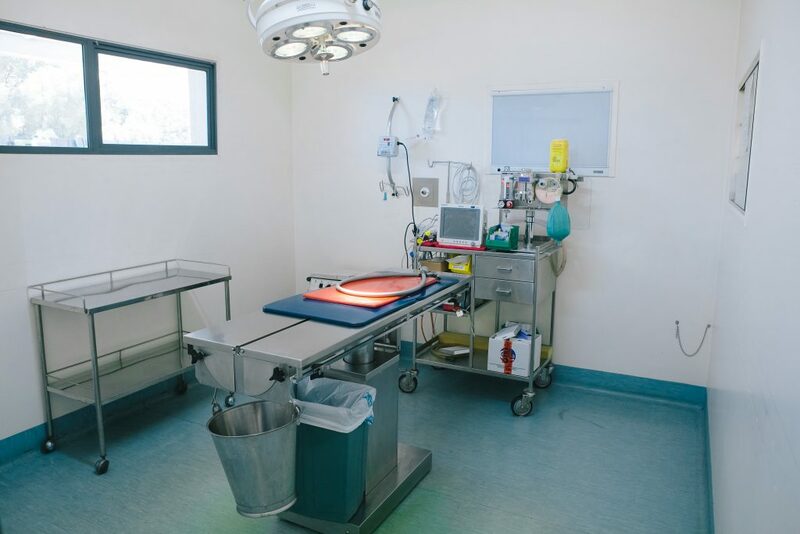 We also perform orthopaedic procedures routinely, including knee reconstructions and patella groove deepening, and have a full Synthes bone plating kit including oscillating saw and air drill, which is used for fracture repairs. We may refer you to a specialist surgeon for complex cases, like neurosurgery or complicated fractures.